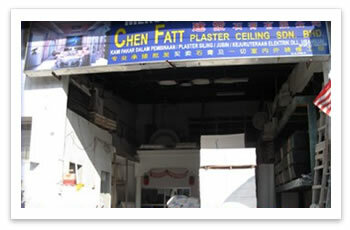 CF Trading Ceiling Board Sdn Bhd was established in Johor, Malaysia. Since our inception, we have strived to maintain excellence in the quality and reliability of ceiling repairs and installation to our clients. These combined with excellent service has been the recipe for our continued growth in the industry. With one of the most extensive product ranges in Malaysia, we are able to cater to all tastes which from the simple clean lines of the modern era to the incredibly intricate and detailed designs of the latest period. In addition to this, we also offer a specialized architectural modeling service that can reproduce a complete cornice or molding from the smallest of samples or create an entirely new and unique design according to your specifications.